As we all work on sticking to our 2019 resolutions, it’s also time to treat ourselves to some spa relaxation and “me” time. 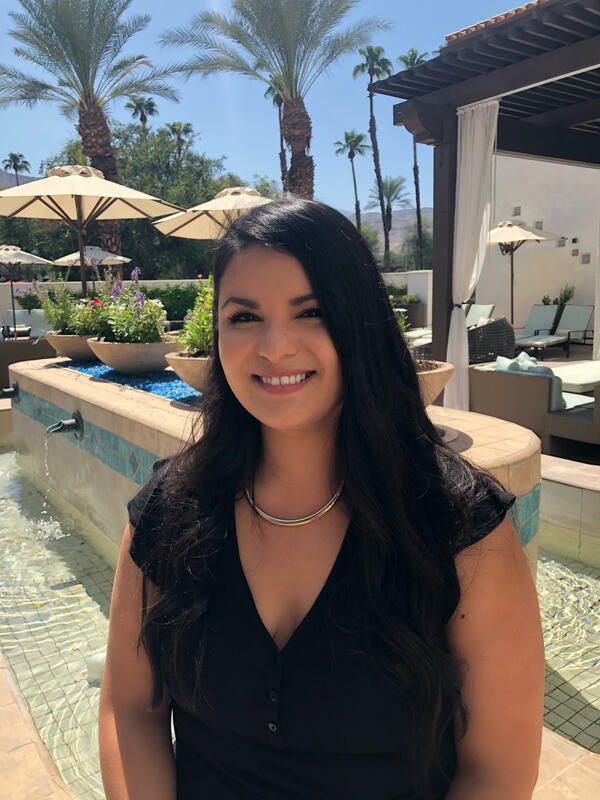 I recently sat down with Monica Donato, Spa Director and future nutritionist at Omni Rancho Las Palmas Resort & Spa, one of my favorite locales on the West Coast for some serious R&R. Prior to my best attempt at self control in an effort to choose only one spa treatment to bring in the new year (nearly impossible), we took some time to discuss how we can all stick to our plans and what we should prioritize in our 2019 wellness journeys. As an expert in making wellness part of daily life – what is your #1 tip for sticking to wellness goals in 2019? One of the most important aspects of establishing a wellness goal is to identify the importance or reason you’re setting the goal to begin with. For example, if it’s a weight loss goal, why do you want to lose weight? Is it for health reasons or perhaps to look good in a bathing suit? Keeping a mental note on why you are establishing your goal helps keep you more focused and energized and will keep you more on track. What is one trend that can do more harm than good in your experience? I believe that the use of cryotherapy is very beneficial for improving muscle recovery, and medicinally, exposing specific body parts to freezing temperatures has been used to remove cancer cells and warts. Recently, however, many locations have started adopting the use of full-body cryotherapy and market it as an anti-aging treatment that may have beneficial effects on the skin. Unfortunately, there is no real evidence to prove these beautifying claims. Additionally, many of these machines are not operated or regulated by medical professionals, and there have been reports of injury due to misuse and lack of regulation. What is one treatment everyone should work into their schedules on a monthly basis? I believe in the healing benefits of massage. Not only is it a wonderful tool to help reduce pain and stress, but receiving a massage also allows you to completely step away from your busy life and completely focus on yourself. Massage has been proven to help boost immunity, improve sleep and even helps manage anxiety and depression. What is the newest wellness trend we should look out for in 2019? In 2019 we’ll see a huge surge in the amount of spas offering massages and body therapies that include CBD. Awareness of its healing benefits and powerful pain-relieving effects is starting to spread, and more people are curious about how it can benefit them. Courtney is a content strategist with extensive experience in branding high profile individuals and companies. Her previous ad tech experience has led her to work with industry leaders such as Unilever, Uber, and numerous other Fortune 500 companies and the creation of an (un)conference on Richard Branson’s Necker Island for the largest influencers in digital. Courtney began her career leading CSR initiatives for one of the largest telecom companies in the world, curating partnerships with nonprofits including the United Way, YMCA, BBBS and more. When Courtney isn’t working, you can find her volunteering or seeking out her next adventure.